A trip to Italy is in the works. Did I just say that? Ok, an idea of a trip to Italy is in the works. You’re the second to know… I just informed Jack the other night. Even though we have a long list of places we have not been to, somehow every few years we (the royal we) feel a calling to go back. Whenever I even hear someone mention a trip to Italy, I become insane with travel envy. So you can imagine the kind of envy I felt when I heard the story of a couple who moved to the Italian countryside, restored an olive grove and started an artisanal olive oil business. (and with the cutest designs for their packaging, I might add!). I had the privilege of trying an assortment of their olive oils, sent quarterly, from the Nudo Adopt an Olive Tree program. My favorite (surprise, surprise), was the one flavored with stone ground lemons. It was absolutely perfect for a simple pasta like this. Which I enhanced, of course, with more lemon. And lemon zest. It’s as if I love lemons or something. Cook your pasta in salty boiling water until al dente. While your pasta cooks, get out a medium/large skillet and toast the panko, rosemary and a pinch of salt. When the panko starts to brown a little bit, remove it from the pan and set aside. Wipe out the pan and add drizzle of olive oil, the collard greens, a few pinches of salt, a bit of garlic and a good squeeze of lemon. Cook until they're mostly wilted (a few minutes). Add the pasta, and toss with a small dab of butter, a squeeze of lemon, and some reserved pasta water if necessary to loosen it up. Finish with a drizzle of olive oil. Remove from heat and toss with the rosemary-panko mixture, toasted almonds, a bit of lemon zest and a pinch of red pepper flakes. Taste, adjust seasonings. Feel free to sub other greens (kale, chard, etc), and other herbs. 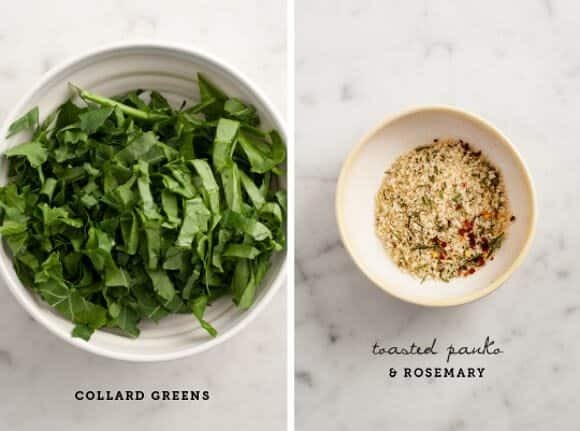 If you add leafy herbs (such as basil), add it at the very end, rather than toasting it with the breadcrumbs. (this post is in partnership with Nudo Italia, all opinions are my own). I know I just love it… total design envy! This sounds amazing! Coworkers are bringing in lemons by the bag full around these parts and I’ve been looking for something to do with them all. Thank you for the great recipe! You had me at “rosemary”…there is a 100% chance i will make this! thanks Kendra, hope you like it! I think either would be just fine. I’ve also been into quinoa noodles lately and I always love brown rice noodles. 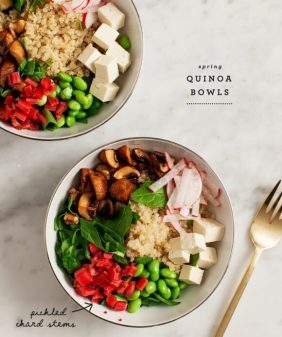 Quinoa noodles sounds great! I’ve had quinoa pasta, but haven’t actually tried noodles. I’ll have to do that! 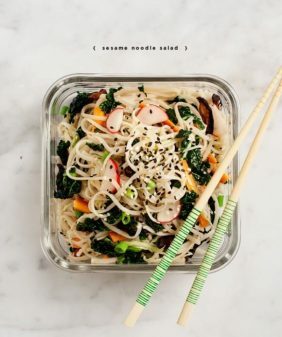 Brown rice noodles are a great idea as well. Thanks! I love Italy too! My husband and I went there for 3 weeks in August for our honeymoon, it was amazing! We traveled all over and had some of the most amazing food I’ve ever tasted. When we were in Tuscany I wanted to stay here (http://www.la-bandita.com/?page_id=2) but we just didn’t have enough time. If you go back you should definitely check this place out it looks amazing. Boy does this look good! I put lemon on EVERYTHING and rosemary is my favorite too! Can’t wait to make this! I haven’t been to Italy for a couple of years and this definitely has me dreaming of a trip there and eating a gorgeous bowl of this pasta with a glass of pinot grigio. Lovely. This is just beautifully fresh and I’m sure it tastes bright and yummy!!! Good luck planning, cannot wait to read all about it. 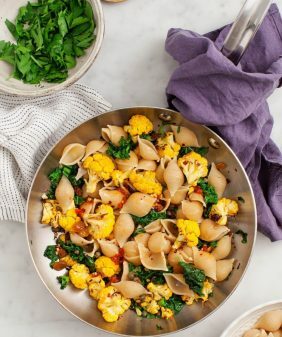 This pasta is the prettiest thing I’ve seen all day… and I really need a plate in front of me right now. 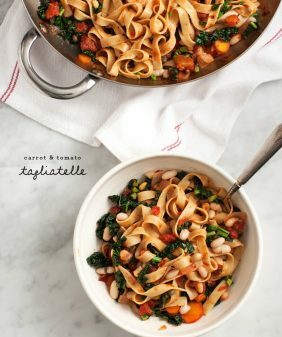 I love fresh pasta dishes like this one! That olive oil packaging is SO cute. I would kill to go to Italy! I hope you get to go sometime soon! This pasta is amazing! Rosemary and lemon and a little kick from the red pepper flakes! YUM! Perfect timing. I have tons of fresh rosemary in my garden and was running out of ideas of what to do with it. Great recipe. Oooooooo my face hurts from being so in love. Those bottles are the cutest! I have the same I-need-to-travel-because-you-did envy. There are just so many beautiful and inspirational places in the world. I want to see them all!! This pasta sounds perfect for a quick weeknight meal. Pinned! This sounds so crazy-good! And I love how easy it is! 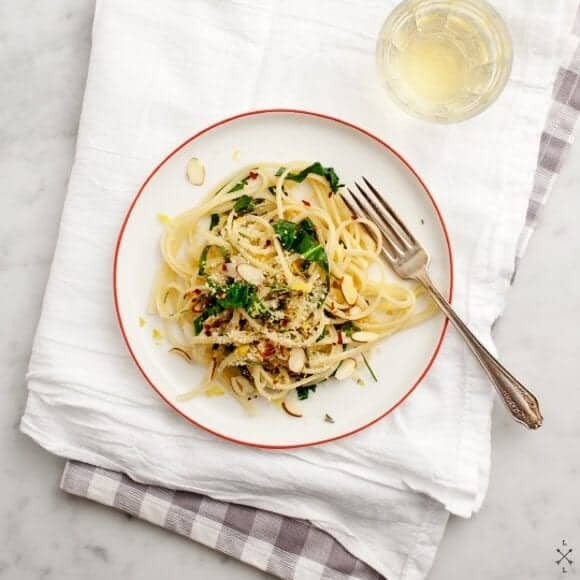 I never discriminate against pasta, but pasta with lemon olive oil sounds amazing! What a simple, easy dish. Yum! Ooo….that sounds tasty! Especially the combination of almonds, pasta and lemons…..yummy. Thanks for sharing, can’t wait to try this for my parents this weekend! Just made this for supper… it was a zesty hit! Great combination, thanks! 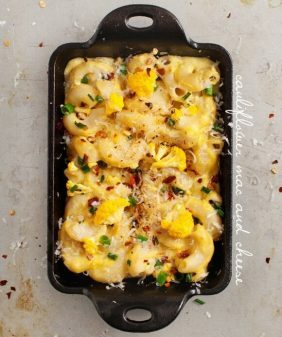 O goodness, thank you for posting this recipe; I made it last night for my husband and I and it was DELICIOUS! It truly was a perfect summer meal with the lemon and rosemary. I actually added shrimp for some extra protein as I hadn’t had any for a few meals, and it paired very well. Just cooked this one up and my wife and I loved it! ‘Zesty’ is certainly the best adjective to describe this one. Perfect for a hot summer’s night. I found one lemon did the job well – could taste it but it didn’t overwhelm. Thanks very much for the recipe! This one’s going in the cookbook folder. so glad you liked it, honored to make it to the cookbook folder! New vegan here, looking for recipes that appeal before I get too freaked out about never having good food again. 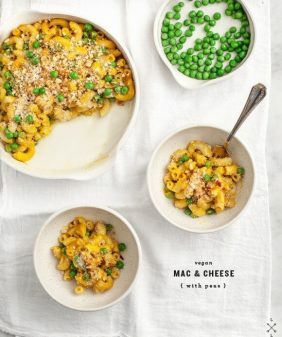 This sounds absolutely delish and I can’t wait to try it! Thanks.